in making your final choice of contractor. Draw up a detailed list of work to be done and give this to your pre-qualified general contractors or sub-contractors to price. Specify the materials to be used and include brand names and model numbers if applicable - this way you can compare bids on an equal basis. If you intend supplying items yourself (e.g. door handles on cupboards), be sure to list them under a heading: Items not required. It just always seems to not alter the price by much when deleting items, as opposed to when adding items. You can find links to all the related information and free legal forms for contracting on our main Contractor page. 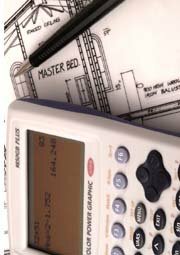 Construction Cost Estimation Software can be a valuable tool for the homeowner. It can assist you to determine to a large extent whether you'll be able to afford the building according to your drawings. 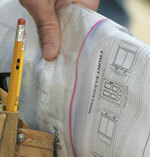 It can also provide you with a benchmark against which you can evaluate your construction bids. The money spent on reliable construction cost estimation software is a very small portion of the total cost of your project, but may save you a lot of expensive mistakes upfront! Ask for a detailed breakdown of costs and have a close look if the construction bids include an allowance for the contractor for items not yet selected. Ask the contractor to clarify and detail these items. Although some negotiation is acceptable and expected, you should allow the contractor his profits. A good way to do this, may be to negotiate price and then offer a performance bonus up to the original quote if the work is performed ahead of construction schedule and to specification. Although budget always plays a role, the cheapest bidder may not be the most cost-effective in the long run! Ask them to detail the required deposits and how the progress payments will be scheduled. Important: State in your bid document that you are not bound to accept the lowest price. If you have to nag a contractor to get a cost estimate - be warned. This may be a good indication of how your contract will be handled as well. 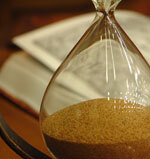 These are essential for the homeowner to make an informed decision when choosing whom to award the contract to. A contractor could for example list the various fixtures for a bathroom remodeling project and the associated cost for each item. 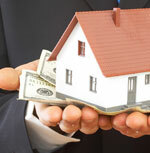 If the homeowner then opts to source the item himself, it is easy to deduct that particular cost from the quote. It is equally important during the construction phase to check any price adjustments with the contractor for any variation orders or changes in the specifications. Do not leave this till the end where it may come as an unpleasant surprise. During the bidding phase you can form a good opinion of a potential contractor from the questions they ask, any reservations voiced and perhaps good alternative suggestions they may have. Ask how many workers are employed by the general contractor and how many projects they are currently working on. They may boast about the number of projects, which may well be a warning signal. They may commit to your job, start the project, only to disappear for a period due to over commitment. You are then reluctant to start the process all over, but if you plan for this contingency with a penalty clause in your general Contractor Agreement for not completing the work on time, they may be wary and not make promises they can't keep. Have your General Contractor Agreement ready before you accept the construction bids and award any projects.